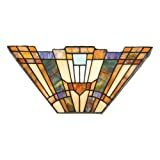 The widest selection in tiffany lamps from major brands such as Meyda Tiffany, Quoizel, Dale Tiffany Lamps and Chloe Lighting. 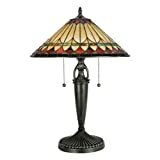 Welcome to the Tiffany Lamps Uber Store where you can find thousands of choices in tiffany style lamps, chandeliers, wall sconces, accent lamps, floor lamps, pool table lamps, pendant lamps and much more. ∇ Use Search Below to find what you need. We have more than 40,000 items in our Tiffany Catalog. 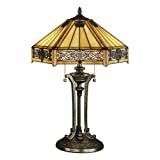 The Tiffany Lamps Uber Store is your source for finding the best deals in tiffany style lamps, chandeliers, wall sconces, accent lamps, floor lamps, pool table lamps, pendant lamps and much more, from major brand names such as Meyda Tiffany, Quoizel and Dale Tiffany Lamps. 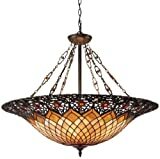 We have discounted pricing for these tiffany style lamps and most items are eligible for free shipping. Please feel free to browse our lamps products lists.